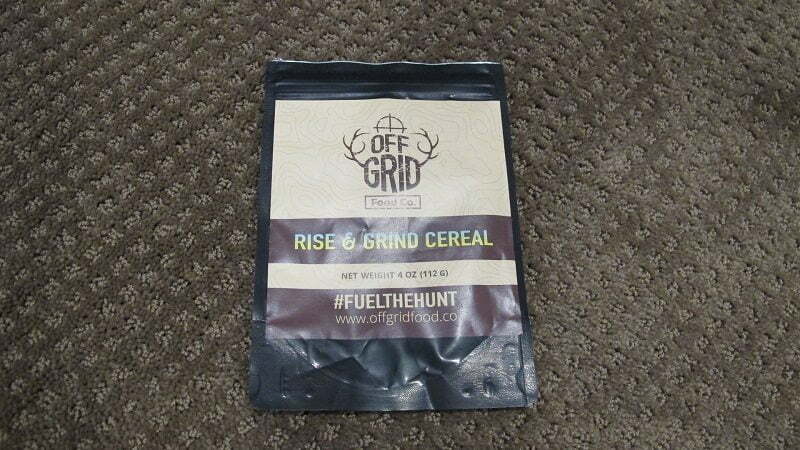 I was selected by Rokslide to review the offerings from Off Grid Food Company (OG), I set out to sample and evaluate every item in their portfolio of backcountry foods. Besides the items I was comped, I opened my own wallet to make sure every OG offering was on my test plate. OG was prompt to fill my order in a complete shipment with one of each item in stock. 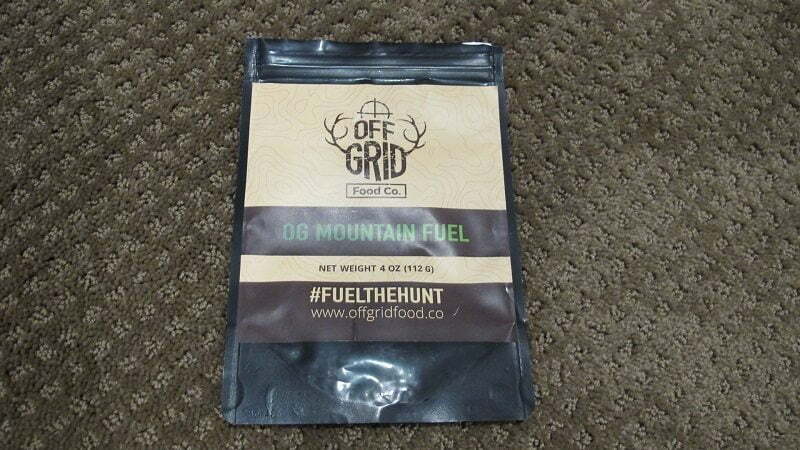 Currently, OG is a breakfast and trail snack (“Fuel” in their terms) company. They intend to expand into entrée meals in the future. It was somewhat apropos that I was selected to review The OG line which has an oatmeal product as their current flagship item. I admit to a lifetime quest to find the perfect oatmeal for backcountry use. If you are like me, you believe that oatmeal is something you “should” eat on a hunt. Good carbs, sustained fuel, easy on the stomach at 3:30 AM yadda-yadda. The fact is, I like oatmeal but in most available forms it can be very blasé at best and moving towards wallpaper paste at worst. I have searched the supermarkets, natural food stores, and online retailers in search of an oatmeal product that is tasty and adds a little more excitement to an otherwise bland meal item. There are some good ones out there utilizing rolled oats, flax, nuts, and other additives in the mix. More times than not I find a decent one once and cannot locate it again. The problem is they are never perfect and I find myself bringing along various additions such as maple syrup, brown or powdered sugar, and occasionally liquid milk. My preference would be to have an all-inclusive solution without other items to bring along or potentially leak in my pack. Well, in my opinion, it just landed! 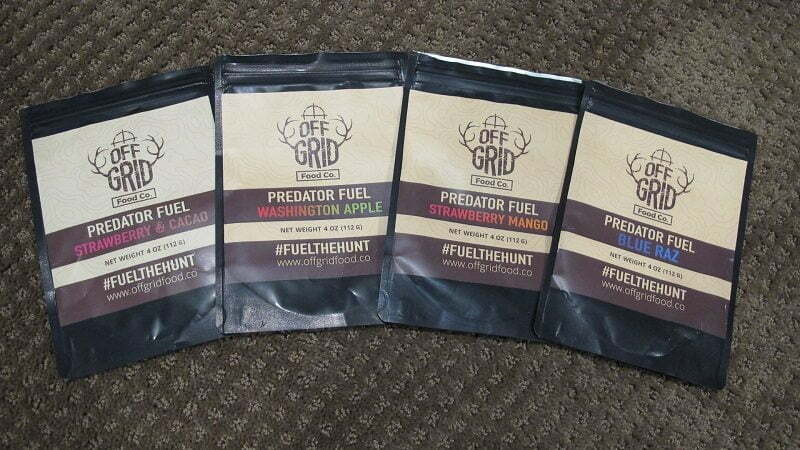 OG’s formulation of a staple breakfast labeled Predator Fuel is a complete home run in my opinion. They have combined organic & gluten free oats, shredded coconut, almonds, organic powdered milk, grass-fed whey protein powder, along with dehydrated fruits in four separate offerings I will comment further on. The product runs in the 650 calorie range as a single serving with protein just under 30 grams for a good start to the day. Rehydration is quick and easy using the zip top bag or in a pot. Just add hot water, wait a minute or two, and enjoy. The addition of powdered milk and fruit eliminate the need or want for additional additives like regular oatmeal products. That said, in a base camp setting I would still add some half & half since I like plenty as a luxury and have it for my coffee anyway. Washington Apple – this mix has a subtle apple taste with the pieces of dehydrated apple offering a flavor burst when you hit one. Mild cinnamon spice comes through for an apple pie hint. If I had a complaint on this one it would be possibly a little sweet. Personal preference I am sure, but 25% less sweet would be perfect for me. Strawberry Mango – this one surprised me a bit. I am an adventurous eater who is fortunate to be married to a gourmet cook. I like darn near everything but have never really cared for Mango. The fresh fruit to me tastes like it was soaked in perfume so I avoid it. You can imagine my skepticism when I set out to try this one. I made sure this flavor went on a cycling trip so my wife could finish it after I had a “review taste”. To my surprise, this ended up as one of my favorites and will be in my pack on every trip. The chunks of strawberry and fruit were large and fresh tasting. Excellent overall with lots of chew and appealing flavor. Maybe a little more hydrate time for this one but worth it. I can’t wait to see how much better this tastes on the mountain, as does everything. Strawberry & Cacao – If you take the Strawberry Mango and add dark chocolate, you basically have this mix. Tastes like a wholesome strawberry chocolate pie with oatmeal crust…yeah, bummer I know. The cacao adds a more creamy texture to this one. This is a flavor to be tried since there is nothing like it I have ever found. Blue Raz – This flavor is the Blueberry mix but actually contains equal amounts of raspberries. Subtle and enjoyable mix with chunks of fruit that are larger than expected. The rehydration of the OG fruit results in a very fresh taste, unlike other rehydrated fruits. A blueberry taste permeates this one. Great offering. OG has formulated a “just add water” cold cereal that may just be the ticket for a quick cold camp or while sitting on a ridge waiting for daylight. I suspect this may also be good heated. They have combined almonds, pumpkin seeds, coconut, dried cherries, dark chocolate, and maple syrup along with whey powder and powdered milk. Calories 810 and protein at 26 grams sustained me well. 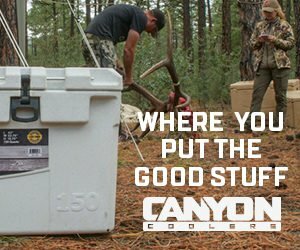 This is a quite unique product in the outdoor world. Very appealing and chewy mix with lots of nuts and seeds in a milk/whey base. The light cocoa flavor is more subtle than the Strawberry-Cacao Predator Fuel and spot on in my opinion. It is fun to find a non-oatmeal day starter that offers a change of pace from the oatmeal routine. I am really looking forward to having this product along and likely will alternate days with Predator Fuel. Another home run here. If you are still with me on this review you may be thinking that I am either a paid reviewer or prone to throwing softballs. Unfortunately, that stops now as I have to send OG back to the drawing board on their Fuel Bars. The OG fuel bars fall into the “energy bar” category. There are four bars in each package measuring approximately 1.5 X 1.5 X 0.75 inches which are not individually wrapped. Each contains 200 calories and 3 grams protein. 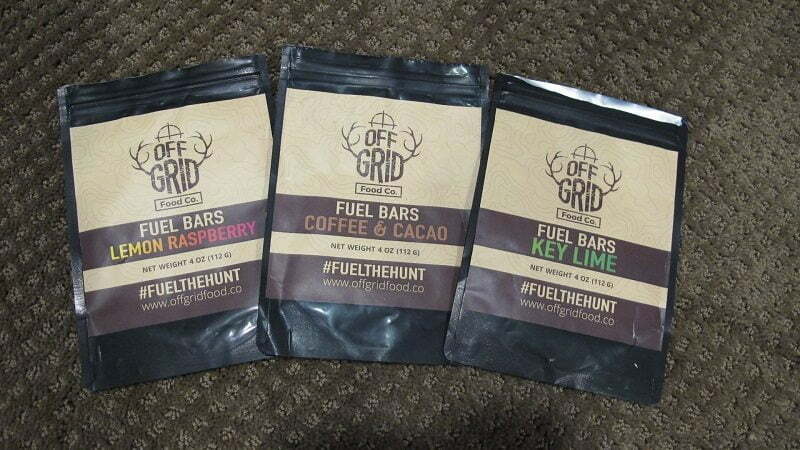 OG describes these as “organic coconut, roasted almonds, organic maple syrup, coconut butter, vanilla bean, and real fruits and flavorings.” The bars offered are Coffee & Cacao, Key Lime, and Lemon Raspberry. All three hold true to the OG findings above with flavor equivalent to the label. The Key Lime tasting like key lime pie. The other two as described on the label. My general description of the bars is a fine almond/coconut mix that has been formed into squares. If you can imagine a fine pie or crisp crust pressed into squares you will get an impression of these bars. The individual flavors are excellent and true to form for OG products. The flavors pop out very boldly as you start to chew them. As the flavor dissipates you end up chewing basically a coconut base until you decide to swallow. I am a great coconut fan and would choose a Mound bar over just about everything, so this works for me. Unfortunately, I just don’t find these very interesting. It reminds me of the consistency of some survival cubes my friend bought that were purely for subsistence. I would prefer some nuts, possibly chocolate chips, or other things to add flavor or texture to the bars and serve as a binder. The overall tastes are great as long as you are a coconut fan. I just think the extensive energy bar aisle at Natural Grocers has more to offer. My biggest critique of the Fuel Bars is the consistency. They are fragile, having no binder or sticky consistency to hold them together. I believe if they are not handled carefully and consumed early in a trip that you will end up with a bag of powder after a few days in the pack. 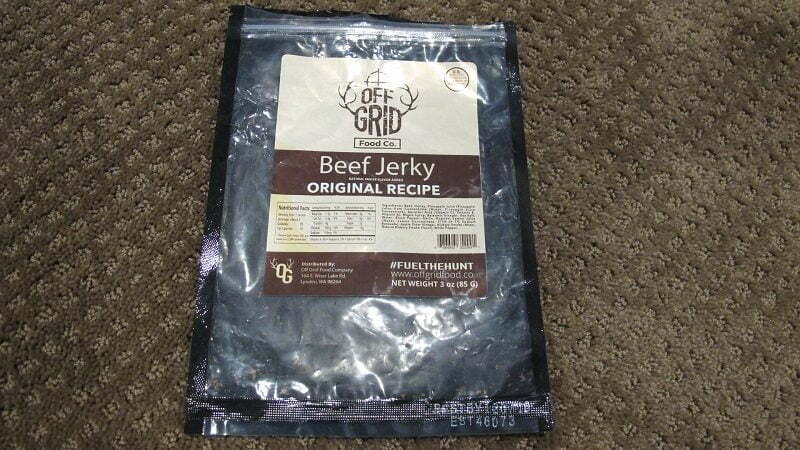 The OG Beef Jerky is a 3-ounce package which has 70 cal/oz with 10 calories coming from fat. OG calls it a soy and gluten-free paleo base with natural spices and sweeteners and a touch of heat. As I sorted through the packages, I wondered why OG would enter the crowded jerky field. The market is flooded with offerings from many companies and does the world need another one? So with some skepticism, I opened the package on a cycling trip with my wife in order to get a couple of opinions. As with the other OG products, we were pleasantly surprised. This jerky formulation is soft and tender with a fresh taste leaning towards citrus from the pineapple juice and balsamic vinegar in the recipe. The black and white pepper adds a pleasant “back of tongue” heat unlike the frontal attack of some cayenne or chili products. There is a nice zing and overall back-bite to the jerky that I find perfect without too much salt. It leans toward spicy so if you don’t like some heat at all it may not be for you. Try one though, as this is a unique jerky for sure. The issue with many cured meats such as jerky and bacon is that we all love it, but know we probably should not be eating it. Many are laced with nitrates and other preservatives that likely don’t preserve us. With the OG products, you are paying for the confidence of knowing it is wholesome eating. After much pondering my wife said it was the best jerky she had ever tried and I cannot argue that. This is an upscale jerky that is meant to savor. One per day will be in my pack, a luxury for sure, but hey….I am on vacation! OG Mountain Fuel falls under the “trail mix” category in that it is a dry snack product. It contains almonds, pumpkin seeds, coconut, dried cherries, soy-free 70% dark chocolate, honey, and sea salt. I rationed this and had a few people try it so I could just watch. My wife snatched the bag from me and looked at the label saying “they should have named it OMG Fuel”. Yes, it’s that good. I don’t know where a quality unique mix like this could be found elsewhere. Chewy, nutty, coconut base with dark chocolate and bursting with flavor from dried cherries. Yes OMG. I don’t know how to even review this further, just order some and see for yourself. There will be one per day in my pack this spring for turkey and next fall in the mountains for sure. I am sure I am not alone that by August I am in a total frenzy trying to prepare everything for fall hunting trips. Summer is nuts with work, yard, garden, projects, fitness, family, etc. Trying to fit in every aspect of getting a mountain hunt right, can be overwhelming. Before a trip such as an archery elk hunt, I typically visit a half-dozen different stores to try and locate correct food items. The prospect of getting online and ordering a complete layout of breakfast and snack item from OG that are high quality, tasteful beyond compare, and that I trust has me very excited. Throw in a few Mountain House type meals and maybe some bars and I am good to go. Oh, and Vias….never forget the Vias! Overall the OG offering is fantastic. I am excited to have some products to actually savor and enjoy rather than just power down as fuel. We all know the feeling of finally having tenderloin over an open fire after about eight days. These offerings have that appeal to me, completely different and flavorful. I am going to stop short of a cost evaluation. I am in sales and we talk a lot about value and acquired cost. I suspect if you compare price/ounce of OG jerky vs. commercial jerky for example, you will find most are cheaper than the OG offering. However, you pay for quality and there is great value in saving all the costs of chasing around trying to find each individual item. Personally, I will chase pennies in another category and maybe delay a clothing purchase so I can order a full complement of Off Grid Food Company products for my adventure. Like I said, when I’m hunting I am on vacation, and they are few and far between. I have always said, “I am going to be comfortable”. Now I can say “I am going to be well fed”. Hi gang. My name is Gary Simonson. 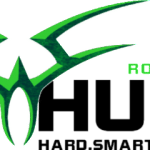 I am a North Dakota native and resident with a life-long passion for the outdoors and bow hunting in particular. 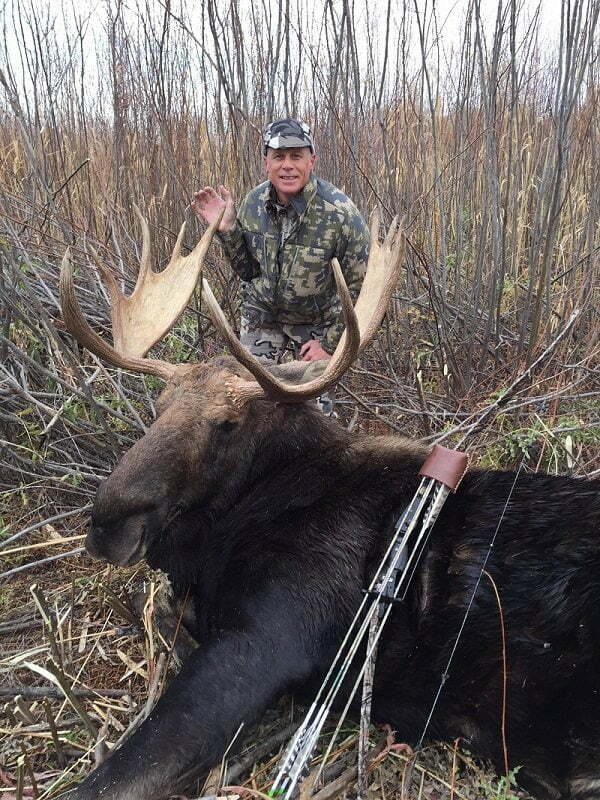 I typically get on several western trips each year having hunted many states including Alaska and NWT for elk, caribou, moose, antelope, turkeys, bears, and deer. I am in technical sales. Married with two grown boys and recently our first grandchild. Wanna Henry Mountains Mule Deer Tag?